Memorable Wedding: 9 Tips For Buying Your Dream Wedding Cake! 9 Tips For Buying Your Dream Wedding Cake! When you want to knock their socks off; when you want them to stand up and cheer; when nothing but the best will do because it is your wedding day; that is when you serve a spectacular wedding cake. Do not let the vision of confetti, the crash of cymbals, or the fanfare of trumpets deter you from attempting to come up with such remarkable wedding cakes. Generally, wedding cakes are is the conventional cake being dished up to the guests at the breakfast after the wedding. It is characterized as a huge cake, different from the usual cakes we have on ordinary occasions. In most cases, wedding cakes are layered or multi-layered and are heftily decorated with icing, beads, and other embellishments that would reflect the grandiose of the event. On the top is a small image of a bride and groom. Wedding cakes can go from the simplest to the most complex decorations; each has its own artistic distinctions depending on the creative juices of the baker. They should conform to the main purpose of the cake, that whatever embellishments it possess, it can still be edible and can be eaten. Because the wedding cake is such an important part in the wedding celebration, here are some tips you need to know in case you will be buying a wedding cake in the future. 1. Check on the length of time required for you in ordering your wedding cake. Time is such an important factor when making wedding plans. Of course, you would not want your wedding be hurriedly done or rushed. Because the wedding cake is a part of the wedding plan, it is important to devote an appropriate time in ordering wedding cakes. It is best to ask your favorite bakeshop on the time frame that they usually give with regards to wedding cake so that you can make early orders if it will take such a long time to create your wedding cake. In this way, you will not be in a hurry coming up with a wedding cake to be served on your wedding day. 2. Verify the details of the cake and its cost. A lot of couples are so fascinated with the luscious treats that go with their wedding cake. What they do not know is that each embellishment and every twists and turns embedded in the cake has a price. Therefore, it would be better to clear it out with your baker how much will be the cost of every decoration are added features you wish to add on your wedding cake. 3. Tell your baker about the details of your wedding. In today's modern world, weddings are not just done in the church. A lot of ideas had come up in terms of wedding venues. Therefore, if ever you have any plans of having your wedding by the beach or anywhere else where it is open, it would be better to inform your baker about this. In most cases, icings are vulnerable to environmental hazards. So, if the baker knows that your wedding will be a garden wedding or a wedding by the beach, he could make such arrangements with your cake in order to endure the environmental conditions where it will be placed. 4. In a budget? Why not decorate your own wedding cake. 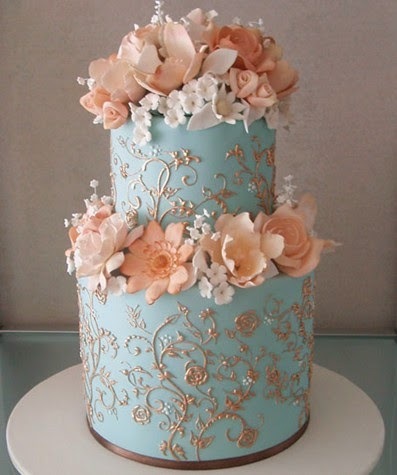 It is not so uncommon nowadays to find somebody decorating his or her own wedding cake. In fact, it is a feasible idea especially to those who have a very tight budget. All you have to do is to order a plain wedding cake and buy the decorations from the retail stores. If you have an idea on where the best bakery is in your city, then head to that place immediately. You can ask suggestions from your friends or family members also. Get a reservation at once. Do not procrastinate. The availability of cake decorators might be restricted. Be sure to drop by the bakeshop to talk about the designs, flavors and other things you wanted to add to your cake. 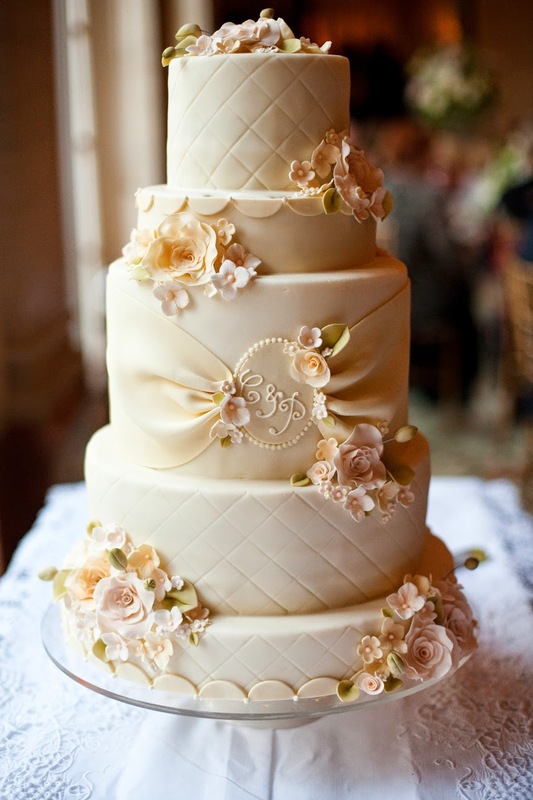 Be sure to give a detailed description of exactly what you want your cake to be. Give the vendor ample time to prepare, approximately six months ahead of your big day would do. You may need to pay a deposit fee for reservation. Aside from the look of the cake, keep in mind that cakes are made primarily for eating. They should taste good as well as they look good. The texture and flavor of the cake itself is important. When scouting for a bakeshop, don't hesitate to ask for cake samples of the flavors you want. If they do not allow this, jump to the next store. Wedding cakes ranges from $300 to $1000 or so. Cost primarily depends on the cake design you want. You have to pay for the cake decorator's fee on top of the cost of the cake itself. Know what your budget is ahead of time. Some shops may give you free delivery too. Most bakeshop has a standard number of servings for each cake type. Know how many guests would attend your wedding so you would know more or less how much money you would allocate for the cake. Flowers have been a traditional thing on weddings. You can well put them in cakes too. You can either choose from fresh flowers or artificial ones. Fresh flowers are beautiful addition to your cakes. But it is very important that you choose fresh flowers wisely. Be sure that they are free from chemicals. Just to be on the safe side, sugar flowers are safer. These are edible gum paste decorations that have wire or toothpicks on them. Most cakes, especially on summer, might end up melted under the heat of the sun. They can also cause flowers and flavored curls to dry up. Not to mention the possibility of flies gathering on your priced cake. Just be sure, always have a back up site where you can store your cakes to preserve its look and taste. Never place your wedding cake near the dance floor or where there is a heavy flow of traffic. You might just see your cake fall down. That's not a good sight at all! Be sure to check the sturdiness of the table you would place your cake. Buying wedding cakes can be fun and hassle-free. Remember that your wedding cakes needs to be presentable, most of the photo opts are done beside the cake. It's always nice to give out that bright smile beside you're well decorated cake that brings out your personal statement. So, set aside some special decisive moment when it comes to your wedding cake because there would be no better way to glamorize your wedding than to have a perfectly made wedding cake.